Sage Hill Inn welcomes General Manager Justin “Raif” Raiford. Originally from Louisiana, an associate’s degree in culinary arts took Raif global, landing him chef experiences in in the Middle East and Asia. He returned to the US in 1998, Austin, Texas. He gained much notoriety as the executive chef at 34th Street Café for seven years. Raif then worked for four years as Director of Operations for Austin’s famed restaurants Walton’s Fancy & Staple and Bess Bistro, fine tuning his expertise in all faucets of operations, enhancing the businesses and elevating the customer experience. Raif lives in Austin and is an avid gardener and a soap maker. 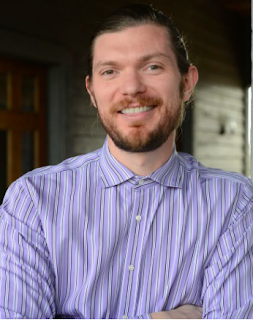 We are also happy to announce the arrival of Austinite Chris Barber is the new Front Desk Manager at Sage Hill Inn. Chris brings with him years of hospitality service, having worked at some of Texas’ best boutique hotels including the San Antonio Emily Morgan in San Antonio, Houston’s Hotel Derek and the Lake Austin Spa & Resort. Chris and his wife Valerie live in Austin with their three daughters, Jacqueline, Ava and Lake, hoping to make Kyle their home very soon. Nirvana Thomas has worked in small hotels for years. A native Houstonian, Nirvana recently moved west with her proud pooch to live in the gorgeous Texas Hill Country. While not busy as an innkeeper some of the time, she’s a painter much of the time.